In February, another brother of Shahbaz, Paul Bhattih, who returned to Pakistan to run political affairs after Shahbaz’ death, received death threats, after which he went back to Italy, where he now lives for his own safety. A pastor with the Redeem Christian Church of God in Borno state, Pastor Taiwo Dokun was shot dead and butchered by Boko Haram men during the Monday July 14th attack on Dille village in Askira-Uba LGA of Borno state. 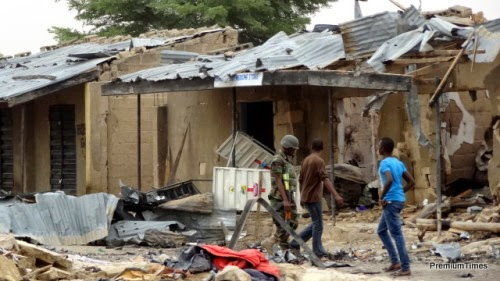 The late pastor’s wife and three children are feared to have been taken by the sect men who reportedly abducted some people on the day of the attack. “The pastor was in his house at about 6am when the insurgents attacked the village. His house was surrounded by the hoodlums and while attempting to run he was shot. Pastor Taiwo was running to a neighbour’s house and it was in the course of his fleeing that he was shot in the head and the chest and the insurgent equally came to butcher him to make sure that he was dead.” he said. Church members say the late pastor’s wife and children’s whereabout is unknown as they have not been seen since the attack on Monday. They have ruled out death as their bodies are not among those they gathered after the attack and suggested they may have been taken away by the sect men who abducted some people on the day of the attack. Two kidnapped nuns who managed an orphanage for girls in Mosul, and two women and a boy, who were kidnapped on June 28 have been released. The nuns relocated the children to Dohuk for safety after the ISIS’ invasion in mid June, but WWM sources quote a man who met one of the nuns at a gas station. He asked her what she was doing and she told him that she was going back to Mosul to look after the monastery. He had begged her not to go, but she’d said she wasn’t afraid. Leaders of Catholic churches in Iraq have flown to Europe to report on the Iraqi crisis, to try to find solutions for the country’s rapidly declining number of Christians. Their visit came amid reports that two nuns in Mosul, accompanied by two women and a boy, have been unaccounted for since Jun. 28. On July 9, the Patriarch of the Chaldean Catholic Church, Louis Raphael Sako of Baghdad, Archbishop Yohanna Petros Mouche of Mosul, and Bishop Youssif Mirkis of Kirkuk in Kurdish-controlled Iraq, held meetings in Brussels with high-level representatives of EU institutions and NATO. They discussed the situation and prospects for Christians in Iraq since the invasion of Mosul by IS last month and of the Ninevah Plains to the north, where there has been a high concentration of Christians. Many of the Christians had earlier fled Baghdad and other southern cities for the relative safety of the north. The Brussels meetings were organized by Catholic charity Aid to the Church in Need. Currently in Mosul all construction work has stopped, leaving many unemployed. There is an increased demand for black colored clothing including veils and hijabs for women who are not allowed to walk in the streets unless accompanied by a male. All barber shops and women’s salons have closed, Christian Iraqi news source AINA has reported. AINA obtained information from a report prepared by the Hammurabi Human Rights Organization, an NGO based in Baghdad which monitors the human rights situation in Iraq, particularly of minorities. In the Nineveh plains water and electricity continue to be severely limited. Residents who have dug wells are unable to purify the water for safe drinking. Relief efforts are not adequate, according to the report published on July 8. A handful of relief and church organizations are scrambling to help. On Wednesday, July 9, Canon Andrew White, known as the ‘Vicar of Baghdad’, posted on his Facebook page “sadly the crisis here continues.” On July 8 he posted that the IS had destroyed many of the Shia Mosques in Mosul and had taken control of the churches. Chris Ade, one of the finalist of MTN’s Project Fame music reality show (season 5), drops a brand new single titled ‘WERE WERE’ which means ‘Easy Easy’. Delivered with remarkable vocals, this inspirational song with a strong African and indigenous rhythm/percussion teaches about patience, the law of seed-time, harvest, the power of self determination, faith in God and yourself. ‘Were Were’ is garnished with a beautiful lyrical composition and a catchy hook which makes its evergreen message truly a blessing. As a Singer, Songwriter, Performer and Entrepreneur, Chris Ade holds a bachelors degree in Computer Science/Statistics from the Federal University of Agriculture, Makurdi. He has Consistently grown on all sides breaking boundaries and limits with his Unique style of Music. This is one song i will recommend you listen to. . . 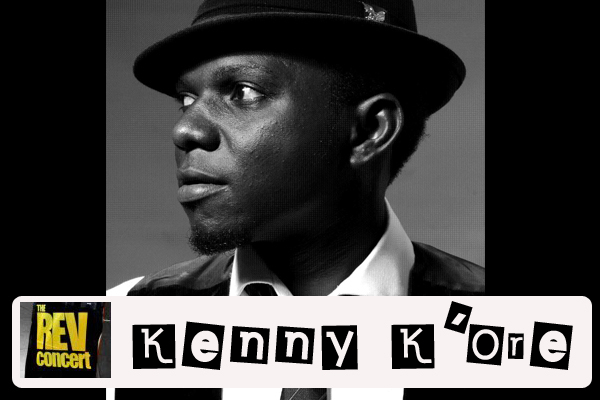 Here we got Kenny Kore who drops his new single titled Only One. Check it out and let us know what your opinions are. “Politicians are the main problem of this country. The whole issue of insecurity in this country is geared towards 2015 elections and nothing more. If there is no election in 2015 and they said not ‘til 2030, everything will cool down. –Rev. Samuel Dali, president, Church of the Brethren in Nigeria. Read the World Watch Monitor Interview here. Nigeria ranks No. 14 among the 50 countries where life as a Christian is most difficult,according to the World Watch List of Open Doors International, a global charity that supports Christians who live under pressure because of their faith. The main source of pressure, Open Doors says, is “Islamic extremism,” most prominently in the form of Boko Haram violence. Islamic Sharia law governs 12 northern Nigeria states, where Christians are compelled to send their children to Islamic studies in school, and are forbidden to bury their dead in public cemeteries, among other limitations. The 5-year-old Boko Haram insurgency has killed thousands of Christians, as well as moderate Muslims, in its avowed quest to topple the government of Christian President Goodluck Jonatahn and create a fundamentalist Islamic state. The April kidnapping at Chibok, a Christian enclave in the otherwise Muslim-majority state of Borno, prompted worldwide outrage, and prompted several Western countries to send people and equipment to Nigeria to help the Jonathan government track down the girls. On Saturday, a bridge on a major northeast Nigeria highway was destroyed in a bomb blast,according to the Associated Press, which cited witnesses and a vigilante group fighting against Boko Haram. The bridge’s destruction further limits access to the forests where the kidnapped Chibok girls are believed to be held. 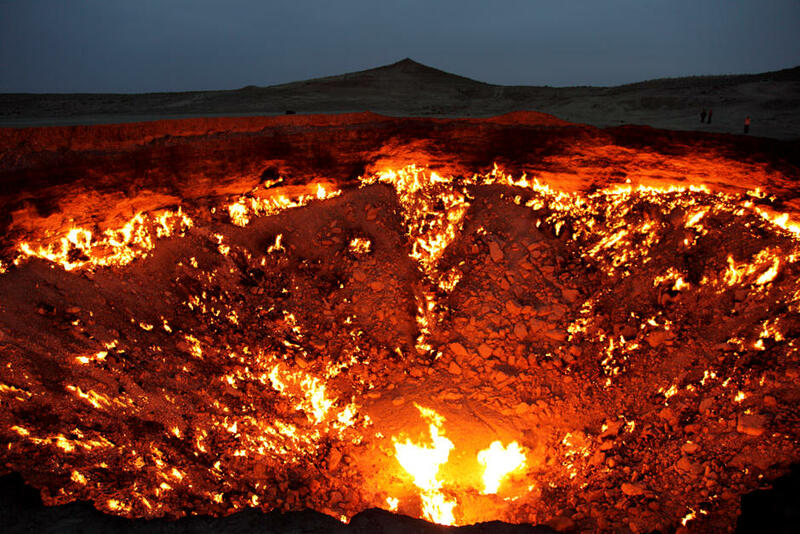 Have Scientists Found the Mythical ‘Gate to Hell’? Archaeologists reportedly have uncovered the cave believed to be Pluto’s Gate, the mythological portal to hell, in the ancient city of Hierapolis in southern Turkey. The site was located among ruins in the area, Italian archaeologists said, according to a report on Discovery.com. Hierapolis is now known as Pamukkale. 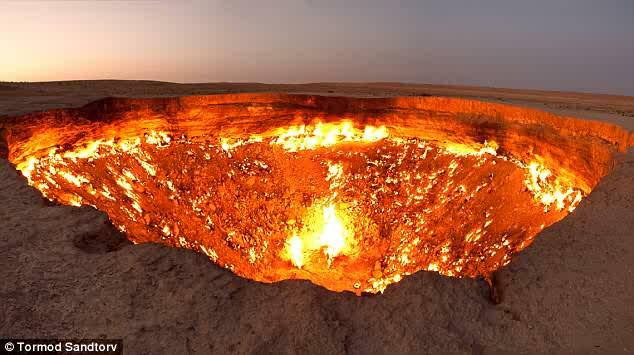 Pluto’s Gate was celebrated as the portal to the underworld in Greco-Roman mythology. Pluto was the Greek god of the underworld. The find was made by a team that was led by Francesco D’Andria, a professor of classic archaeology at the University of Salento. Pamukkale was already considered culturally significant. It’s on the United Nations’ list of World Heritage Sites, alongside the pyramids of Egypt, Australia’s Great Barrier Reef, East Africa’s Serengeti and the Galápagos Islands in Ecuador, among other international sites identified for preservation and protection. Ancient Hierapolis was a cosmopolitan city where Anatolians, Graeco-Macedonians, Romans and Jews intermingled, according to UNESCO. The city was located on hot springs that were used for thermal spas and baths. Ancient scholars wrote about Pluto’s Gate, claiming that the portal was full of vapor and mist and that any animal that tried to enter would perish. Strabo, an ancient Greek geographer, wrote that he “threw in sparrows and they immediately breathed their last and fell,” Discovery also reported. The archaeologists apparently witnessed something of this firsthand. 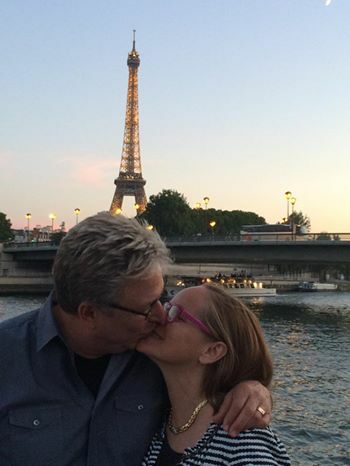 We wish Don Moen and Laura even more years of love!